Intermountain Rural Electric Association(IREA) is one of the largest and fastest-growing electric distribution cooperatives in the United States. A 5,000-square-mile service territory includes all or parts of ten counties to the east, west and south of the Denver metro area and west of Colorado Springs. Early in 2008, with no eBilling and no customer email addresses on file, IREA selected the Striata / Speedpay®​ ​service ​(A Western Union Company) partnership to provide them with a full service electronic bill solution. Today IREA is an industry leader among utilities in terms of eBill adoption and paper suppression. Residential and commercial customers now receive their IREA bills directly in their inbox as an authenticated, secure, interactive and payment-live PDF attachment. There is no enrollment required and no need to choose or remember a username and password. Once customers have opened their, secure attachment they can make an instant payment directly from within the itemized PDF bill – without the need to visit a single web page. “Striata Adoption Services and Strategies have been (and continue to be) a key factor in our success,” adds Zimmerman. By employing an opt-out strategy, the utility saw an adoption rate of 11% at launch. When IREA obtains an email address from a customer, they are automatically enrolled in eBilling. 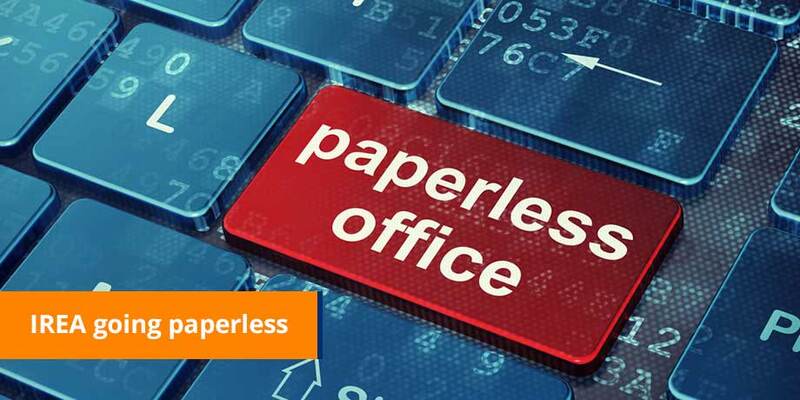 For the first 3 months, customers receive their paper bill along with the electronic version, after which the paper bill is automatically turned off, unless the consumer specifically requests a hard copy. Very few people have chosen to go back to paper once they have viewed the Striata Secure PDF version. The key to the high adoption rate is that customers do not need to be proactive about retrieving their eBills. Over the past 12 months, IREA and Striata have gathered an additional 6%of customer email address and recently concluded a successful email acquisition project. IREA is comfortably on track to achieve 25% total paper turn off in 2 years. Since the goal is to suppress as many paper bills as possible, automatic enrollment also includes sending email bills to those customers who pay via automatic bank debit or on Speedpay®​ ​service’s website.